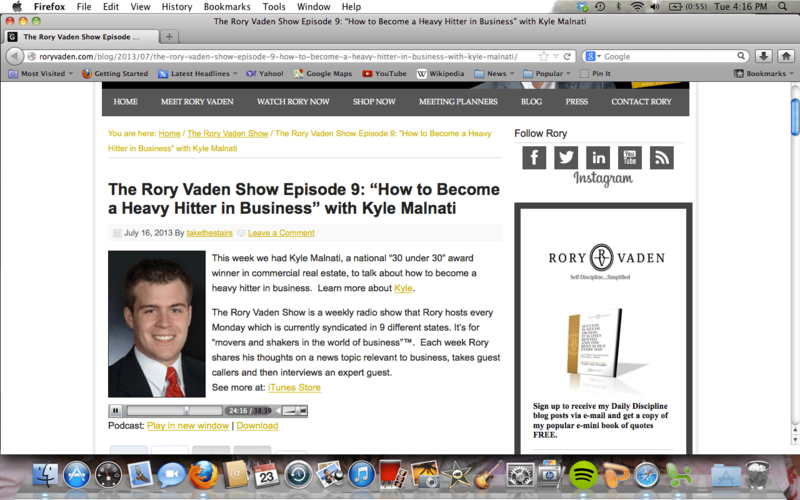 Kyle Malnati Featured on the Rory Vaden Show! This week I was on Rory Vaden’s radio show to talk about how to become a heavy hitter in commercial real estate and business. The Rory Vaden Show is a weekly radio show that Rory hosts every Monday which is currently syndicated in 9 different states. It’s for “movers and shakers in the world of business”™. Each week Rory shares his thoughts on a news topic relevant to business, takes guest callers and then interviews an expert guest.